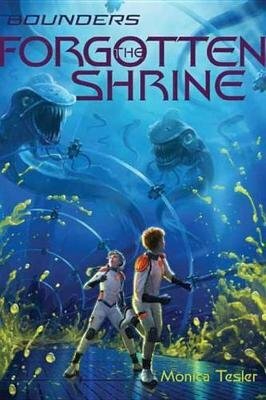 The rifts within Earth Force continue to widen as Jasper and his friends head back into space in the third novel in what Shannon Messenger calls the "richly detailed, highly imaginative" Bounders series! Jasper can't wait for his sister, Addy, to finally join him at the EarthBound Academy. But as soon as they arrive at the space station, Jasper and Addy are separated when Jasper's pod is sent on a secret mission to the underwater planet of Earth Force's shady new allies, the Alkalinians. At first, Jasper and his friends are excited by the incredible virtual reality technology that the Alks use, but the kids soon realize that this technology might be masking a sinister agenda. Jasper and his friends are certain that the Alks are laying a trap for Earth Force. But with Admiral Eames blind to the danger, Jasper and his pod mates must take matters into their own hands. Will Jasper's pod disobey direct orders to uncover the Alks's true plans? And if so, will the kids be able to stop them before their treachery ripples across the entire galaxy? They need to act fast or it could mean devastation for Earth Force and death for the Bounders-including Addy.